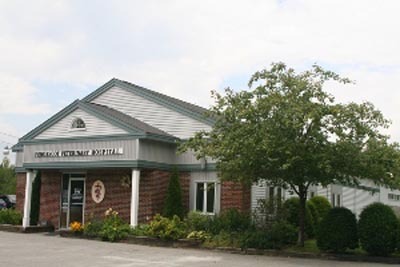 Penobscot Veterinary Services is a modern facility with a comfortable reception area, multiple exam rooms, kennels, surgical suite, laboratory, and diagnostic imaging facilities. Our hospital is designed to make our clients and pets as comfortable as possible. We do our best to provide care that create the least amount of stress for both our patients and their people. We encourage and greatly enjoy "happy visits" when our patients stop by just for some love. Stop on by, enjoy some coffee or tea in our lounge and let our doctors and staff spoil your pet!